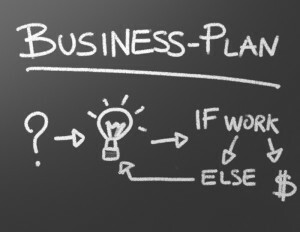 Business Plans – Why are they needed anyway? In the opportune times we live today, there are so many problems we are surrounded in as a world citizen that everyone has many issues to take care of and loads of obligations to fulfill. However, for some reason, most of the people keep looking for brilliant job opportunities to make their life. Entrepreneurship is synonymous to risk-taking, however, the pursuit of this adventure has made fortunes for those who take the responsibility and push themselves through the zeal and passion required for success. It is also referred to as the “Creative Destruction” where new technologies, practices and approaches take over the old methods of doing things bringing betterment to the society at large. Microsoft & Google, for instance, changed the face of how personal computing & internet operates today, but they started off from a garage & dorm rooms. The most amazing thing about this buzz word is the number of myths surrounding it. Many of the reasons people generally give to themselves for not pursuing it include lack of money, contacts, opportunities, looks, etc. but these are just excuses pushing ourselves back from our goals. If someone is interested in pursuing a venture, there could be no force that would drive him back. What is needed though is a preparation for the business. Preparation starts from an idea that seems to be potently marketable. It could be as outrageous as opening a kite flying school to as sophisticated as starting on a VLSI microchip fabrication plant, but it is all right as long as there is sufficient demand in the market to cater to. Whist having an idea won’t work much unless you take a step further to give it a practical dimension, you need to sit down and analyze your product’s estimated demand patterns that you believe would follow. Once you know the size of the market, you would be in a much better position to estimate your share of the pie and prepare feasibility, a.k.a. the Business Plan. This is one of the most important documents you need to prepare as it is the face of the company before the company has a face. Plan: You have nothing to lose! In a business plan, you would need to have information on various areas of business establishment, including production, marketing, distribution & logistics and of course, finance. This might look like a grueling task, but if you’re excited about your idea, you should not mind spending some time filtering its applicability. This business plan does two major things: firstly, it forces you to think over your idea’s various aspects and understand the difficulties, dynamics, and details of the business yourself; and secondly, it can be a rather small 20-30 page summary of the proposed business that could be given to potential investors, bankers and other financiers for project’s funding. Don’t be afraid of this work as you could approach me to assist you for your business plan preparation needs. I have worked with people from a range of industries from hard-core single product start-ups to multiple service-based setups needing to expand. The best thing is that when you have it done professionally, you won’t regret as the costs you incur are actually miniscule in comparison to the benefit you would derive. So if you are thinking about getting your own business off the ground or expanding the scale of operations, make sure you get in touch! Out of the school, most students don’t know the available palate of professions they can possibly pursue in their career, or their respective career goals. They often tend to drift toward the colleges, degrees and interests where their respective cliques –group of very close friends- apply. It so happens that most of the college days get past enjoying the new-found independence from strict discipline and regular checks by instructors. As soon as students complete their Intermediate examinations, their life verges on another such point. It is predominantly undecided for most of the students where they’re heading, except for a blurred idea they have based on their own interpretation of the lifestyle of those pursuing a particular field, or their friends’ preferences for a particular work domain, and also quite often their parents’ interest in letting the children pursue some degree. This ‘undecidedness’ clearly reflects in their selection of universities for application. For instance, commerce graduates try to get admissions in Chartered Accountancy institutions, Bachelors of Commerce institutions and Business Administration Universities all at the same time. Ironically, the so-called torchbearers for students of this age are the various coaching and test preparation institutes, lined up in almost every other locality in all major cities of the country, also suggest this approach as correct justifying, ‘this way students don’t waste their year in case they don’t get admission into their preferred institution this year.’ However palatable that reasoning might sound, this is a poor strategy to select one’s career. “Cogito, Ergo Sum,” commonly translated as “I think, therefore I am” is what Rene Descartes, the father of modern philosophy suggested, implying thinking is one thing that differentiates a human being, from just a being. Despite being one of the blessed nations, with all the natural & human resources, we are lagging so far behind in our competitiveness that we are not even listed amongst the 57 countries that are ranked in the IMD World Competitiveness Scoreboard 2009. It is high time to start “thinking.” Most successful companies across the globe believe in planning, research, development, proactive analysis and commitment to continuous innovation, all of which have their roots in thinking. We cannot run governments and corporations and compete globally by taking dictations; after all, the one giving dictation is also supposed to know what needs to be done. In this spiral, we have to take many radical steps to improve the state of affairs of the country. Its imminent importance is undeniable and cannot be emphasized more. We are so used to not thinking, that whenever we have to do it, even for decisions of petty significance, most of us try to avoid the thinking part and start searching for alternatives such as someone who could recommend, suggest or guide as to what should be done. There is indeed a need to revamp not only our academic curricula, but also the teaching methodologies. Moreover, requirement exists for widespread adult education opportunities where people are rightly rewarded for their right thinking. This is the only way to dodge the impending doom on our society and get back on track to pioneer success. What to look for in Stock Investments? Investments are a topic that do not come easily for many, some people don’t know where to invest, others think about how much to invest and those that do are often not sure if theirs is a suitable investment for their preferences and risk profile. Stock investments are a good way to earn money where the longer run returns on equity outpace returns on most debt instruments. For instance, if you invest $1,000 in good equity scrips, your overall return in say 5-10 years would be far higher than investing the same $1,000 in government treasury bonds over the period. Equity investing is not easy, especially with the amount of financial lingo that people in financial circles are used to throwing. If you don’t know the terms, then understanding and assessing an investment can become a burden, perhaps this is one reason many people prefer to invest in equity through mutual funds. Keeping these pointers in mind would make you aware of whether a prospective investment is going to be a good one, and at the least let you ask the right “read: intelligent” questions.